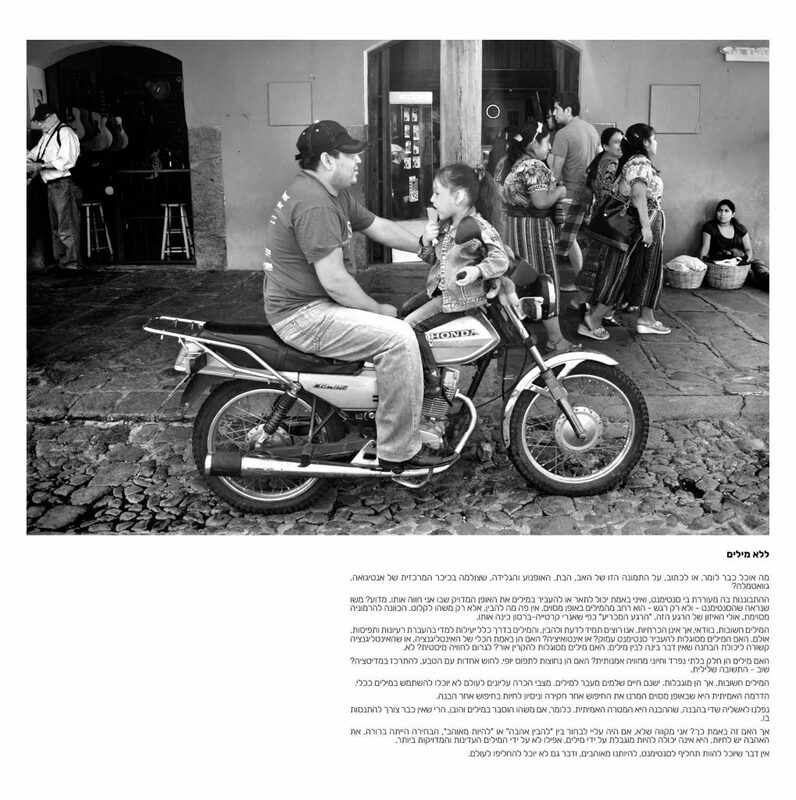 What can I possibly say – or write – about this photograph of the father, his daughter, the motorbike and the ice-cream, in the main square of “La Antigua”, Guatemala? Looking at it awakens a sentiment in me, and I can’t really find the right words to describe it, to transmit it, exactly as I experience it. Why? Because it seems that this sentiment – not just a feeling – is somehow wider than any words. There is nothing here to be understood, just something to capture. A certain harmony, maybe the equilibrium of the moment, a “decisive moment” as Cartier-Bresson would call it. Words are important, of course, but they are not essential. We always want to know, to understand, and words are quite efficient to transmit ideas and concepts. But can words transmit a deep sentiment? Or an intuition? Are they really the vessel of intelligence or is not intelligence the ability to discern, which doesn’t have anything to do with words? Can words emanate light, or cause a mystical experience? No. Are words indispensable part of the wonder of an Artistic experience, are they needed to capture beauty, to feel in Union with Nature, to Meditate? Again, the answer is no. Words are important, but they are limited. There is a whole Life beyond words. Elevated states of consciousness, will never be able to use words as a tool. The real drama is somehow that we have replaced the quest for experimenting and living by the quest for understanding. We have fallen into the illusion that understanding is enough, that understanding is the real purpose and thus once something is explained with words and understood, there is no need to experience it any more. But is that true? I hope not. If we had to choose between “understanding love” or “being in love”, the choice would be evident. Love is to be lived, it cannot be limited by words, even by the most subtle and precise ones. Nothing can replace the sentiment, the experience of being in Love. And nothing should ever replace it.